Each Friday, throughout the Community Sampler sew-along, that Maureen Cracknell and myself are co-hosting, will be a Giveaway Friday. We've coordinated special giveaway prizes with our amazing participating sponsors for each and every week! If you've happened to miss the first Community Sampler posts, take a look back from the first post Community Sampler Week #1 to get caught up to the present. Feel free to start sewing with us at anytime--it's never too late to join in, and it's free! TODAY'S FEATURED COMMUNITY SAMPLER IS SPONSOR IS LADY BELLE FABRIC! Lady Belle Fabric is run by husband and wife team, Rob and Brooke. In their shop you'll find both bundles and single cuts of hand-picked fabrics that are fresh, modern, and fun! Designer fabrics include many of our favorites -- Art Gallery Fabrics, Cotton + Steel, Free Spirit, and Moda, just to name a few! Lady Belle Fabrics goal is to offer the most gorgeous fabric as quickly as they can! This week our giveaway will be a beautiful 20-piece fat quarter bundle of Maureen's new Flower Child fabrics for Art Gallery Fabrics. This beautiful bundle is also available for purchase at Lady Belle Fabrics along solid bundles that coordinate with Maureen's Flower Child prints. Lady Belle is currently having of 20% off all bundles and notions, prices as marked. We hope you enjoy visiting Lady Belle Fabric. Maureen and I take turns hosting the Community Sampler Giveaway Fridays. This week I'm sending you to Maureen Cracknell's blog to enter! A BIG thanks to all of you who are joining the 2018 Community Sampler sew-along and to those who enter our Giveaway! This week our giveaway will be a beautiful 8-piece fat quarter curated bundle of Maureen Cracknell's Art Gallery Fabrics collections that include prints from Nightfall, Garden Dreamer, and Love Story. This beautiful bundle is also available for purchase at Lady Belle Fabrics. Look for the Maureen Cracknell Mix Up Bundle that reflects the sale Lady Belle is currently having of 20% off all bundles. We hope you enjoy visiting Lady Belle Fabric. This week our giveaway will be a beautiful 20-piece fat quarter bundle of Maureen Cracknell's newest Art Gallery Fabrics collection - LOVE STORY. View the beautiful Love Story Lookbook pages and get inspired by the dreamy boho inspired collection. This beautiful bundle is also available for purchase and Lady Belle Fabric is currently having a sale of 20-40% off all bundles. U.S. readers can use coupon code FREESHIP at checkout to enjoy free shipping on orders throughout our Giveaway! We hope you enjoy visiting Lady Belle Fabric. * Note * This giveaway is open to EVERYONE! If you're a "no reply" or anonymous commenter, please remember to include your email address in your comment--you can't win if I can't get ahold of you! 1. Simply leave a comment here under this post! (First entry). 2. Follow Lady Belle Fabric on Facebook and/or Instagram. Just let me know that you did by making a separate comment here to record that entry. (Optional second entry). 3. My followers get a third entry! If you follow via subscribing to my posts, through Bloglovin (or other service), or on Instagram, just let me know by making a separate comment here to record that entry. (Optional third entry). Note: I'm no longer on Facebook. 4. Help spread the word!! I know that many of you already do, so I thought it would be nice to add that as another way to enter! Spread the word about the Community Sampler on YOUR instagram, facebook, tweet, pin, blog post, etc... (optional fourth entry). That’s FOUR possible entries! Enter now through Monday, March 5th! The winner will be picked at random and I will announce their name around 4pm Eastern on this post. Each Friday, throughout the Sewcial Bee Sampler sew-along community event that Maureen Cracknell and I co-host, we've lined up a special giveaway with one of our amazing participating sponsors! If you happened to miss the launch of our Sewcial Bee Sampler you can follow this link for all the info to start sewing and catch up in chronological order - it's never too late to jump in and the PDF downloads for the the sampler will remain up even after the SBS ends. TODAY'S FEATURED SEWCIAL BEE SAMPLER SPONSOR Is Lady Belle Fabric! For this week's Sewcial Bee Sampler Giveaway Friday, Lady Belle Fabric is offering the winner a Summer Nights Maureen Cracknell Mix Up Bundle. This beautiful bundle includes eight fat quarters curated from Maureen Cracknell's Fleet & Flourish, Nightfall, Garden Dreamer, and new Soulful collections for Art Gallery Fabrics! This beautiful bundle is also available for purchase. Look for the Summer Nights Maureen Cracknell Mix Up Bundle from Art Gallery Fabrics in the Lady Belle shop. Now through Monday, July 17th at midnight, Lady Belle has a sale with an extra 20% off all bundles and an extra 25% off all Christmas bundles! Maureen and I have taking turns hosting Sewcial Bee Giveaway Fridays, so this week I'm sending you to the Maureen Cracknell Handmade blog to enter! A BIG thanks to all of you who are joining the Sewcial Bee Sampler sew-along and to those who enter our Giveaway! 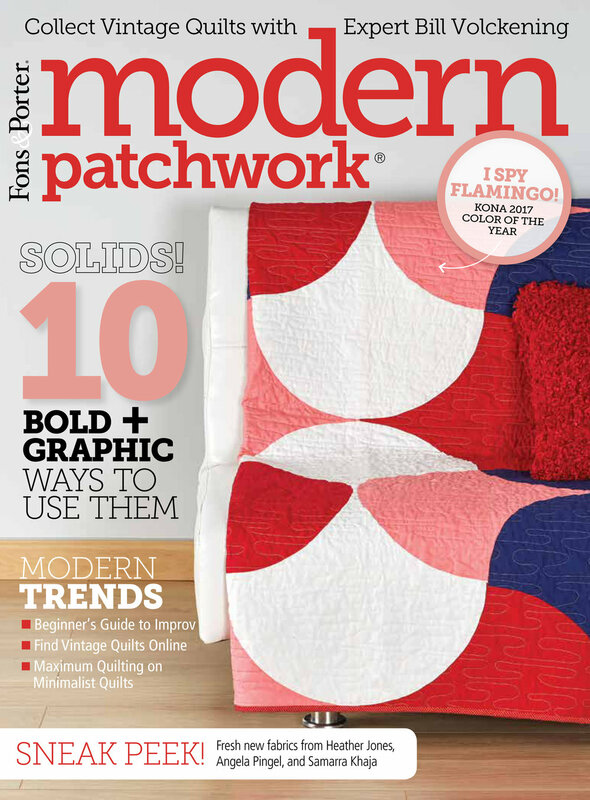 I have quilts in these Fun magazines!